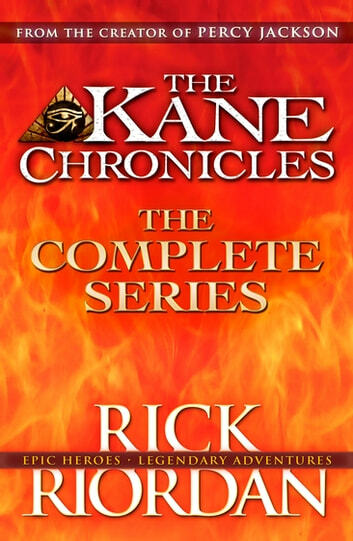 Don't miss any of the explosive action in the thrilling Kane Chronicles Trilogy, collected in one digital edition for the first time. 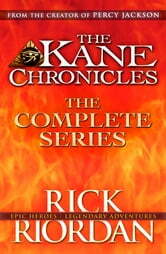 The Kane Chronicles: The Complete Series includes all three novels in the bestselling, electrifying adventure series: The Red Pyramid, The Throne of Fire, and The Serpent's Shadow. Carter and Sadie's dad is a brilliant Egyptologist with a secret plan that goes horribly wrong. They must embark on a terrifying quest from Cairo and Paris to the American South-west, and discover their family's connection to the House of Life. The pharaohs of Ancient Egypt are far from dead and buried. And so, unfortunately, are their gods . . .
With all the action, humour and excitement you'd expect from Rick Riordan, author of the bestselling Percy Jackson series. Providing a good understanding of the egyptian dieties, this book is action-packed, hilarious and will leave you on the edge of your seat as Carter and Sadie continue to fight to stop evil. Rick Riordan is truly a master of mythology. A good read and quite gripping in places. I learned a lot about those numerous egyptian gods and goddesses and in-betweens. Sadie & Carter Kane are a sister and brother team out to safe the world from chaos - quite literally.